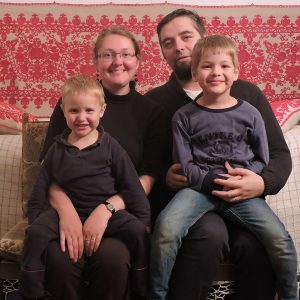 Westside Unitarian Universalist Congregation & East Shore Unitarian Church, of Bellevue, work together in partnership with Torockószentgyörgyi Unitarian Congregation in Transylvania, Romania. We build and maintain cross culture friendships through on-going communication through Pilgrimages/exchanges, emails, cell phone & Skype calls, and now pen pal letters with interested kids. Learn more about the UU international partner program. The Partner Church Ministry Team meets monthly on the second Sunday 12:15-1:15 in the Lower Level Classroom on the north end of the hallway. We welcome all who are interested in learning more. Visit our Partner Church table during social hour on the 2nd and 3rd Sundays each month. For Westside-related partner church information, contact Ginger Brewer. Find us on Facebook as well. Unitarian Universalist churches in the US began developing "partner" relationships with the churches in Transylvania. These relationships are for mutual benefit. The US UUs get to learn of how Unitarians in Transylvania held onto their faith against all odds, when it was very difficult to do. We get to witness their courage and the deep commitment they have to the unity of god and to community. 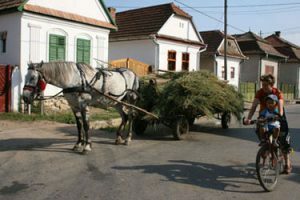 The Unitarians in Transylvania benefit from our experiences in organizing different kinds of programs in churches, such as Religious education for children, and pastoral care ministry. And we get to understand, mutually, how much we have in common, despite very different cultures. We get to come to love each other! We have periodic "pilgrimages" to our partner church in Torockoszentgyorgy. The first Unitarian churches were named in Transylvania in the 1500's. King John Sigismund chose the Unitarian faith for his own, which in those days meant that whatever religion the king was, was also the faith of the kingdom. However, he added a big caveat.an official Edict of Tolerance in 1568, which essentially said that everyone was free to attend the church of their own choosing. It was Ferenc David who impressed him during debates of Catholic, Calvinist, Unitarian and Lutheran. Unitarian Ferenc David is most known for his statement "We need not believe alike to love alike." You will see these words on the stained glass window at Westside UU. The Unitarian churches in Transylvania (now Romania) were mostly Hungarian speaking, nestled in valleys of the Carpathian Mountains. 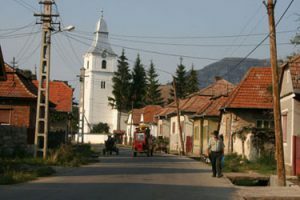 These little villages suffered greatly under dictatorship in the 20th century, due to their double minority status of being Hungarian and Unitarian instead of Romanian and Orthodox.